Simpson’s work with Akhmetshin, which was first revealed last year, is surprising given that Simpson is who hired former British spy Christopher Steele to conduct research about Trump’s activities in Russia. Simpson, a former Wall Street Journal reporter, was hired by a Hillary Clinton supporter to dig up dirt on Trump. The project resulted in a 35-page unverified dossier written by Steele that Fusion GPS distributed to reporters. 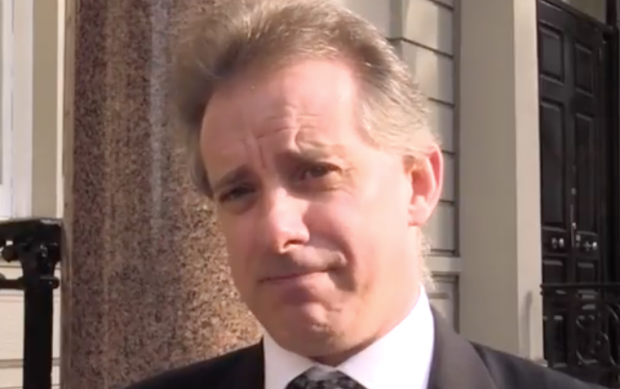 Steele also gave the document to the FBI. He also questions whether the FBI is aware of Simpson’s work for Akhmetshin. “Presumably, such awareness would have informed the FBI’s evaluation of the dossier’s credibility,” writes Grassley. “It is highly troubling that Fusion GPS appears to have been working with someone with ties to Russian intelligence — let alone someone alleged to have conducted political disinformation campaigns — as part of a pro-Russia lobbying effort while also simultaneously overseeing the creation of the Trump/Russia dossier,” writes Grassley. Akhmetshin claimed that he was lobbying to help Russian orphans. The Russian government prohibited U.S. citizens from adopting Russian children after the original Magnitsky Act was passed. But the orphan issue was a red herring Akhmetshin was using to hinder the sanctions. Grassley says that the Judiciary Committee needs to find out how the Justice Department has responded to Browder’s complaint. “The issue is of particular concern to the Committee given that when Fusion GPS reportedly was acting as an unregistered agent of Russian interests, it appears to have been simultaneously overseeing the creation of the unsubstantiated dossier of allegations of a conspiracy between the Trump campaign and the Russians,” he wrote. Grassley also pointed to news reports about Akhmetshin’s background. “It is particularly disturbing that Mr. Akhmetshin and Fusion GPS were working together on this pro-Russia lobbying effort in 2016 in light of Mr. Akhmetshin’s history and reputation,” he writes. He cited various reports referring to Akhmetshin as a “Soviet counterintelligence officer” who later worked for the GRU, the successor to the KGB. Akhmetshin has also been accused in a lawsuit of “organizing a scheme to hack the computers of one his client’s adversaries,” Grassley notes.